Welcome to the IslandWood Garden! : Soil to Snack! What is it like to grow and harvest your own food? How about to cook with your own, home grown food? Well, the Soil to Snack (STS) program at IslandWood can show you! STS is a collaboration of our amazing kitchen Chef Chris Agnew, and garden educators Jen Prodzinski, and Emily Owens. 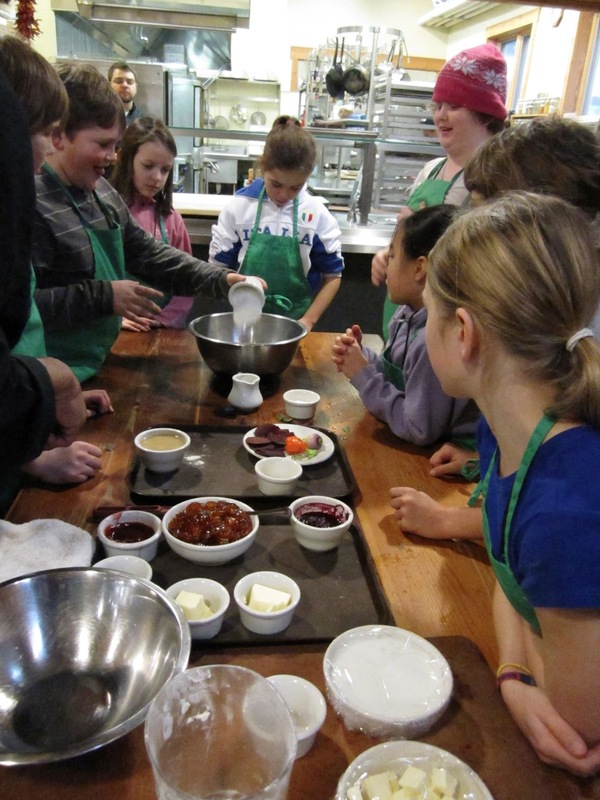 Some students participating in the School Overnight Program will have the opportunity to experience Soil to Snack, where they will harvest food crops and herbs from our own garden, and prepare a beautiful gourmet snack with Chef Chris in the kitchen. This is an amazing opportunity for students and adults alike to experience what it is like to harvest fresh local food and prepare it with creativity, love, and care. We hope to help students gain an appreciation and understanding of farm to table, and learn ways to incorporate local, or homegrown food into their lives and/or communities. And best of all......it is delicious!! Labels: Recipes: Soil to Snack, Soil to Snack, What is Soil to Snack?